Process control in a machining environment can make or break production goals. Tracking inventory, monitoring tool wear, analyzing quality control results, and improving how operators interact with machines can all contribute to a more efficient production line. A hiccup in any of these areas can result in the entire system screeching to a halt. A stopped line is not a profitable line. Autonetics software division is an industry leader in unifying people, equipment and software into a single, cohesive unit. We understand that not everybody is a Bill Gates. Not everybody is going to see the relationship between data printed on a computer screen and wear on a mill bit. We can’t all be expected to memorize thousands of different callouts across hundreds of different parts. Luckily, Autonetics can and we can help your people do it too through simple and efficient software solutions. As part of their quality program, they were required to extract a piece of the material from one of their products, machine the piece to various dimensions, and then conduct several quality tests on the piece. The problem with their old method was that of an unnecessary time sink: Their operators were spending an excessive amount of time programming their machines with all of the variables associated with the extracted sample piece. On top of the time sink, a single erroneous input would scrap the part, break a tool, or worse crash the machining head. Autonetics proposed, designed and delivered a low-cost application, integrated directly with an Okuma Machining Center control, that presented the operator with a simple series of touch-screen options. These options included such things as part size, part presence and material type. Based on the options selected, the Autonetics software would send the correct tooling parameters to the CNC and also determine which part program to load. 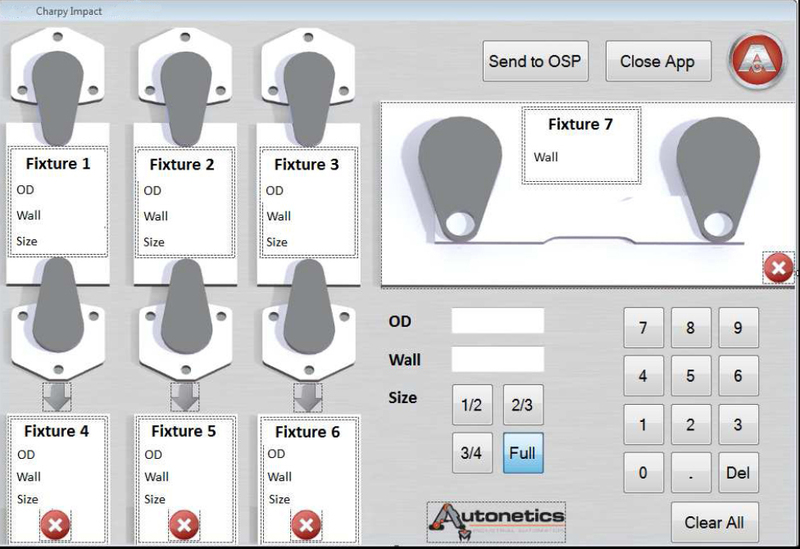 By utilizing an intuitive design, narrowing the choices presented to the operator, and coding numerous logic checks behind the scenes, Autonetics software has significantly improved the quality sampling rate, increased machine tool life, and freed up operator time that is now being spent on production. This was a quick, simple, low-cost option for our client that has significantly improved how their quality department operates. Contact Autonetics today and learn more about how we can improve your process control.